Here’s a quick summary of new features to look out for. Many of these enhancements were prioritized because folks like you voted them up in the JobScore ideas forum. Have something you’d like to see in JobScore? Suggest an idea today. Admins can now add, edit and delete note templates. All users can view and use note templates. Why: You wanted checklists to conduct phone screens and collect interview feedback – templates help make sure you don’t miss details. decline / no thank you emails in addition to the “standard decline” email template. Why:Providing a quality candidate experience requires you to say “no” to candidates in different ways depending on where they are in the process. Leave jobs open but have them not appear on your careers site – stopping all new job applications. Why: Sometimes you need to work on a job and not have it posted on your careers site. 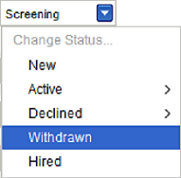 Candidates can now be marked as declined (meaning you said no) or withdrawn (meaning the candidate chose not to continue the process). Why:Many of you want to know how often candidates are opting out of the process – something worth paying attention to! When lists of jobs are shown, job IDs are displayed next to job titles. Why:Many of you are working on the same job in more than one location, or filling jobs with the same title and over again – this makes it easier to figure out which job is which! When you fill a job / hire a candidate you are directed to a simple but powerful step-by-step “hire candidate” wizard. Why:This makes it easy to complete your hiring checklist – and was necessary for accurate time-to-hire and source-of-hire reporting. 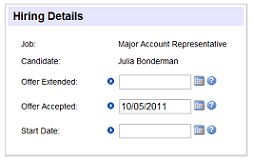 There are new multi-select controls in the filter on the candidate manager. 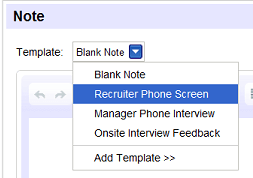 Why: Some of your job lists are getting long – this makes it easier to select groups of jobs.